While there are dozens of web hosts in the industry that offer VPS hosting services, very few of them can lay claim to the high level clients that trust Pagely as their provider. From Microsoft and Twitter to Vonage and Facebook, some of the biggest brands in the world count on Pagely for their web hosting needs. One of the major reasons for this is the high level mechanical and technical capabilities that their VPS hosting plans provide. While their plans are much more expensive than most, the way they are able to cater to maximum traffic websites is unmatched. What is the Pricing Structure for the Four Plans? As has been mentioned, Pagely’s VPS hosting plans are certainly not cheap. Their VPS-1 plan is $499/month, the VPS-2 plan is $999/month, the VPS-1+ [HA] plan is $1249/month, and the VPS-2+ [HA] plan is $2249/month. As you can see by the prices, their VPS packages are not designed for small or even medium sized businesses but instead cater to large businesses and corporations. What are the Main Technical Features of Each Plan? The VPS-1 plan provides 50GB of disk space, 200GB of bandwidth, and 1000GB CDN. For the VPS-2 option, you receive 50GB of disk space, 300GB of bandwidth, and 2000GB CDN. VPS-1+ [HA] users have the opportunity to work with 50GB of disk space, 500GB of bandwidth, and 2500GB CDN. The The VPS-2+ [HA] plan, which is by far the most advanced option, has 50GB of disk space, 750 GB of bandwidth, and 5000 GB CDN. The VPS-1+ [HA] plan also includes 3TB of PressCDN™ while the VPS-2+ [HA] package includes 5TB GB of PressCDN™. A WordPress Optimized Powerhouse. SSH + WP_CLI + Redis + Staging + Database access complemented by 3.75GB of RAM on this SSD Backed Amazon c4.large instance. Step up from VPS1 with 2x the RAM and compute resources. These WordPress optimized c4.xlarge are ideal for applications using E-Commerce or Membership systems with higher concurrency requirements. A load balanced and synchronized pair of VPS-1 nodes in separate availability zones for maximum uptime and increased concurrent connections. This High Availability configuration serves several of million monthly pageviews with ease. A load balanced HA configuration of VPS-2 nodes makes 2x the RAM and compute resources available. This High Availability solution is ideal for resource intensive E-Commerce or Membership applications at scale. How Many Websites are Allowed With Each Plan? Both the VPS-1 and VPS-1+ [HA] plans allow for up to 30 websites to be registered to your server while the VPS-2 and VPS-2+ [HA] plans allow for up to 60 websites to be created. What is Each Plan Designed For? While it can be difficult to categorize exactly what each plan is designed for, there are some things that you should know about the different plans to help you make a better decision about which one to go with. 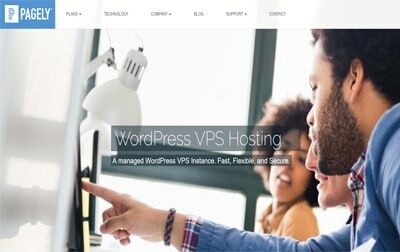 The VPS-1 package is advertised as a WordPress optimized powerhouse that allows you to quickly and easily create up to 30 WordPress sites on the fly. The VPS-2 plan offers double the compute resources and RAM available with the VPS-1 option. It is optimized to serve high demand applications for both ecommerce and membership based websites. The VPS-1+ [HA] plan provides you with two VPS-1 nodes that are synchronized together to deliver the highest level of uptime possible. This option can easily handle tens of millions of website views across up to 30 websites. The VPS-2+ [HA] plan includes two VPS-2 nodes that are synchronized for even better uptime than the VPS-1+ [HA] package. It comes with 5 TB of PressCDN, making it an option for users that have multiple high traffic websites that are marketed mainly through content from users or admins. 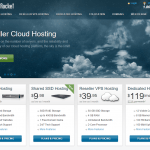 Does Pagely Offer Free Site Migration for VPS Hosting Plans? Yes. Pagely provides free site migration services for up to two websites. If you have more than two sites that you would like their technical staff to migrate, it will require additional fees. Are Developer Tools Included With Each Plan? Yes. Pagely has set up an entire toolset to help developers easily customize their website experience. This includes features like multiple SSH accounts, WP-CLI, tools to sync sites, system level crontab access, and cluster design for large sites. It also includes additional support for things like custom PHP extensions, git support, and Redis. What Type of Customer Support is Provided? While they may be expensive, the expert support offered by Pagely is absolutely unmatched by any other web host in the industry. They have specialized engineers standing by whenever you need them to help with everything from deployment and migration to scaling and technical issues. Overall, it is difficult to argue with the quality of Pagely’s VPS Hosting services. The only question that really needs to be asked is whether their high quality services are worth it for you and your business. If you are looking to work with the best of the best and do not mind spending the extra money to do so, Pagely is certainly a great option to help you grow your websites. Pagely’s sales team is very open about whether or not their services will be a good fit for users. As a premium web host, they make it clear that they do not want to get stuck working with someone who is only going to end up dissatisfied with what they have to offer. For that reason, it is always a good idea to get in contact with their sales staff before making a final decision about whether Pagely’s VPS hosting plans are right for you. Provides high level mechanical and technical capabilities that caters the needs of their clients. Provides 24/7 expert technical support. Prices are high.